When Echo Lake Elementary 4th grade teacher Shari Wennik started an after-school robotics and coding club this year, she probably didn’t imagine they would place in the top two percent of teams competing in a global robotics competition, but that is exactly what they did. Two of Wennik’s robotics teams placed in the top 140 out of 7,100 teams from 63 countries who recently competed in the Wonder League Robotics Competition. The students learned creative problem solving, coding and robotics by competing against more than 22,000 students in collaborative teams to design solutions to science and technology challenges. They submitted their results and evidence through the online competition platform. "The students had worked extremely hard on all of the different coding challenges since October, so the five months of weekly problem-solving, teamwork and creativity really paid off," said Wennik. "The teams definitely earned their spot in the finals and it was such an honor to qualify, especially in our first year and with so many teams competing." The Wonder League is a growing, worldwide network of elementary coding and robotics clubs using Wonder Workshop’s program to inspire an early love of coding, computer science and STEM education. 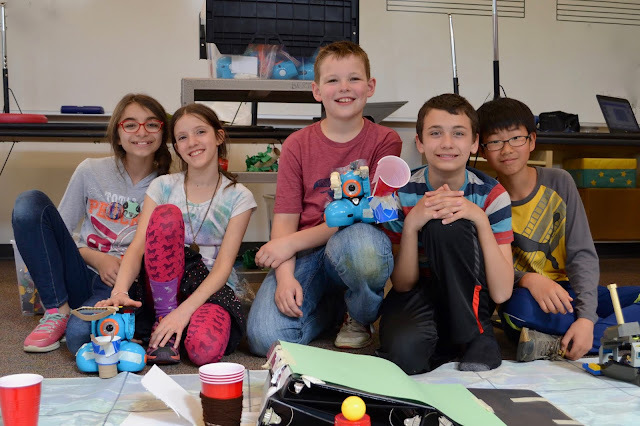 Teams of students with access to one set of Dash and Dot robots, which students program using code, and participate in the robotics competition where they develop problem-solving and creativity skills through learning to code. “As the advisor, what I witnessed in terms of learning went way beyond coding; it was really about perseverance,” said Wennik. Echo Lake Elementary is located in north central Shoreline at 19345 Wallingford Ave N.